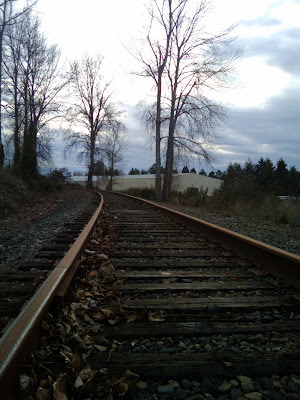 This segment of the BNSF line through Kirkland east of Lake Washington was last used by the "dinner train" running several times a week, as well as BNSF freight locals. Due to freeway expansion near Bellevue the line was cut in the middle, and has now fallen into disrepair. I like the rusty look of the rails telling of better times.